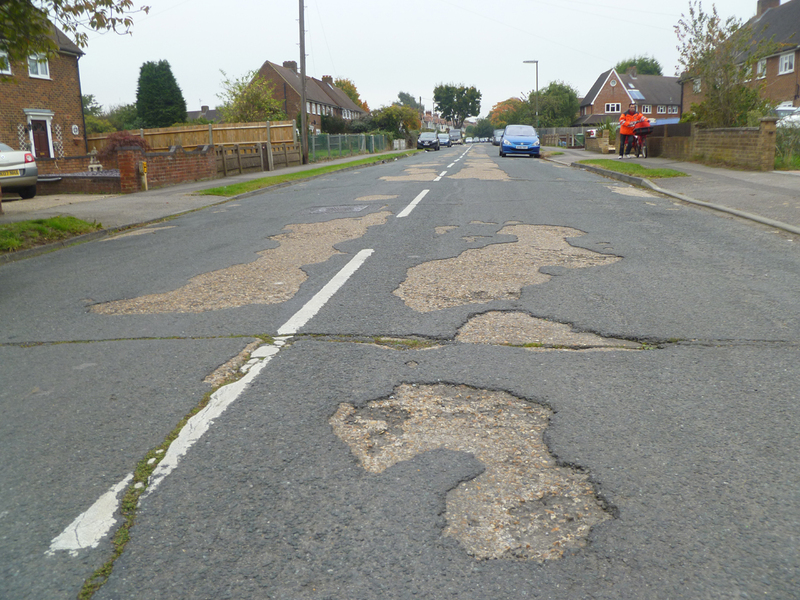 Molesey Conservative Residents: Molesey roads in need of repair! Molesey roads in need of repair! SURREY County Council is promising a five year blitz on the county’s worst roads. John Furey, the county councillor for transport, said 90% of Surrey roads are now in a ‘decent condition’ and it is time to look at the remaining 10%. Molesey Conservatives were successful in having Hampton Court Avenue in East Molesey resurfaced earlier this year, after sending photo evidence to Mr Furey’s predecessor. Now we are asking for Island Farm Road (pictured) to be addressed. Please post your comments below.